In considering any cinematic restoration project, it's important to first consider what the movies are, where they come from. In the case of Roberto Rossellini's War Trilogy, these are films that were begun while World War II was still wrapping up, without the support of any big studio or even equipment and film stock. My guess is that they pretty much came out of the can looking worn; thus, for Criterion to now deliver these three films on DVD with brand-new, scrubbed-up high-definition transfers and make them look so good, it's nothing short of miraculous. The films are all black-and-white, shot at full frame (1.33:1, picture boxed), and the clarity of these new transfers is stupendous. Sure, there are occasional shots that still show age or the conditions of the production, a scratch here or some fuzziness there, but I doubt these small, momentary glitches could (a) be fixed or (b) even constitute 10% of the running time here. This is a championship effort, folks. 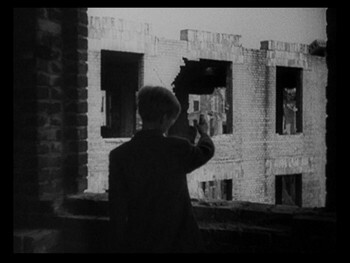 Roberto Rossellini himself may have never even seen his films look this good. Paisan is the film in the worst shape of the three. There are regular flickering lines on the screen, but even these are easy to ignore. 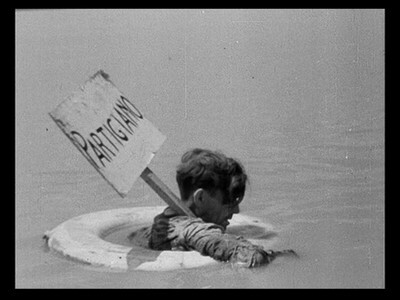 Given that Paisan has long been out of circulation due to the extensive damage to its original film elements, that we have a complete, watchable version at all is remarkable. 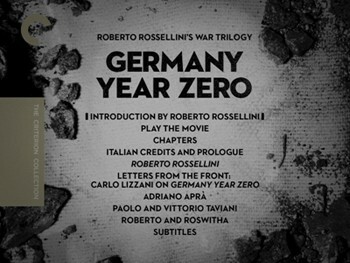 The multi-lingual films of Roberto Rossellini's War Trilogy are presented with their original soundtracks mixed in mono, with optional English subtitles. These soundtracks are spruced up in much the same way as the image, with an occasional hiss creeping into both Rome Open City and Germany Year Zero, but otherwise sounding very good. 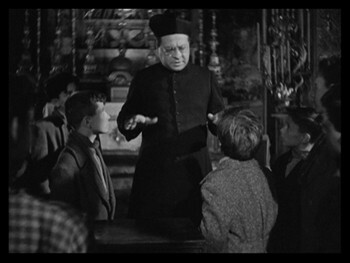 Granted, there is some of the usual oddness in the overdubbing that fans of old Italian films will likely be used to, but we can hardly blame the DVD manufacturers for those. The subtitles are well done and easy to read. Roberto Rossellini's War Trilogy comes in a handsome, sturdy box, with each film placed inside the box in its own cardboard book. There is also an actual book, a nice and thick collection of photos, credits, and new essays on these three films. The three-disc set puts each movie on its own DVD, and they all come with their own specific supplemental features. Shared between them are the short video introductions by Robert Rossellini, each setting up the particular movie they run before. * Audio Commentary by Peter Bondanella, recorded in 1995. 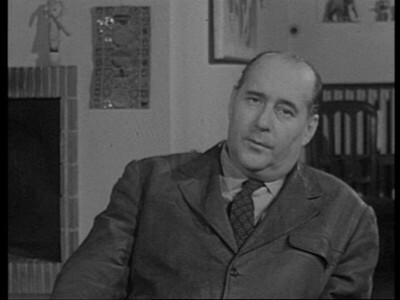 Bondanella is the author of the book The Films of Roberto Rossellini. 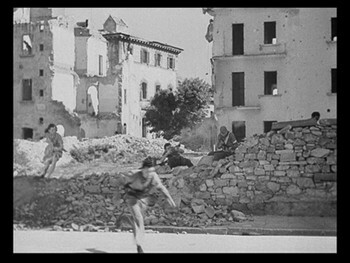 He looks at the schism between fact and fiction, covering a variety of social elements, ideological clashes amongst wartime Italians, and Rossellini's own moral conviction and his cinematic technique. 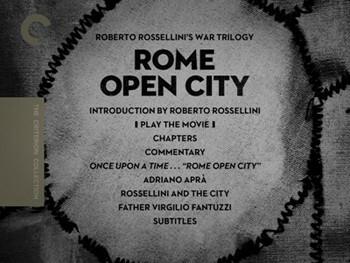 * Once Upon a Time...Rome Open City (52 minutes, 25 seconds), a 2006 documentary looking at the making of the film, with archival newsreel footage of the war and older interviews featuring Rossellini, Ingrid Bergman, Magnani, Fellini, alongside new interviews with Isabella Rossellini, Vittorio Taviani, the director's assistant Carlo Lizzani, and more. The nature of the production, and the battle between the old and the new in terms of style and politics are explored. 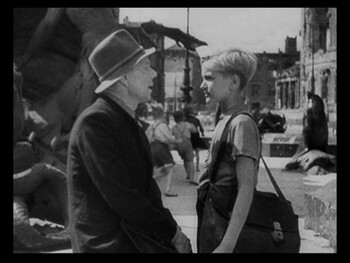 * "Rossellini and the City video essay (25:05), a program with author Mark Shiel looking at the places Rossellini used and how he used them. * "Rossellni at Rice University" (13:32), excerpts from a talk the director gave in 1970. 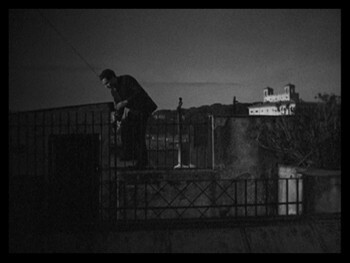 He addresses the idea of Neorealism and whether it was a real movement, improvisation, the reasons for traveling across Italy in Paisan, and other topics. * "Into the Future video essay by Tag Gallagher (30:51), the kind of in-depth visual dissection that Gallagher also did for the Rossellini film The Taking of Power by Louis XIV. He uses stills from the set, publicity material, clips from the films, and other sources to dig deep into the entire trilogy, not just Paisan. 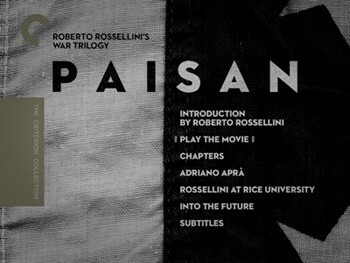 * The credits and spoken-word prologue for the Italian release of the film. * Roberto Rossellini, a 2001 documentary by Carlo Lizzani (1 hour, 5 minutes, 32 seconds). Tracing the career of the director through his early shorts to the war films, on to Hollywood, and then his historical programs. Includes info on his personal life, and also tributes from admirers Francois Truffaut and Martin Scorsese. * New Interviews: historian Adriana Apra (12:39), filmmakers Paolo and Vittorio Taviani (7:52) on the inspiration Rossellini gave them. 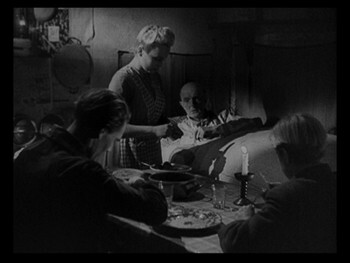 * "Robert and Roswitha" text essay (30:51), a piece by film scholar Thomas Meder on Rossellini's wartime affair with Roswitha Schmidt and how that might have led him to Germany to make this film. Since this is a text essay, you navigate through it with your arrow keys. Amidst the text are archival photos from the set as well as personal photos, documents, and drawings of Schmidt made by Federico Fellini. 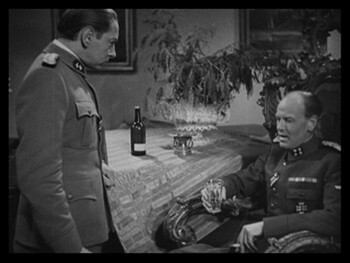 This is quite a bounty of supplements, and no stone is left unturned in the exploration of Roberto Rossellini's War Trilogy. This is hours of information, all worthwhile. DVD Talk Collector Series. 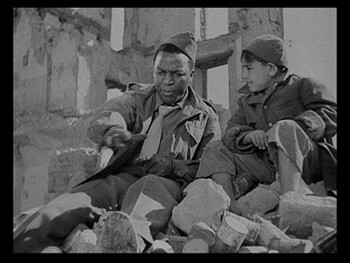 Roberto Rossellini's War Trilogy - Criterion Collection is amongst the best of the best. Collecting three films that defined the Neorealist movement and put the Italian director on the international stage, this is both a look at cinema history and a history itself. The movies here were shot on location just after WWII, and they tell stories of what the Italian and German people endured. 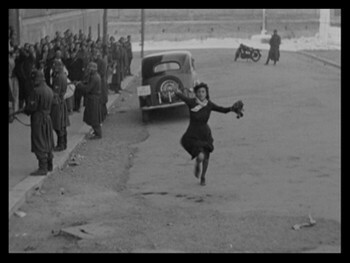 The impressive package takes us deep into what informed the making of Rome Open City, Paisan, and Germany Year Zero, showcasing the films in ways they never have been before. Like a treasure chest and a time capsule all in one!